In Diagnosis and Treatment of Chronic Fatigue Syndrome and Myalgic Encephalitis, Dr. Myhill examines this essential role of our mitochondria in energy production and why it is key to understanding and overcoming Chronic Fatigue Syndrome (CFS) and the inflammation that often accompanies it: Myalgic Encephalitis (ME). She explains the importance of healthy mitochondria, how we can assess how well they are functioning, what we can do to keep them healthy, and how to restore them to health if problems arise. Since publication of the first edition in 2014, new research and new clinical findings have shed further light on a condition that is debilitating to those who suffer from it, but all in the head to many doctors. 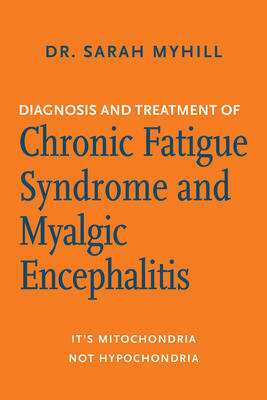 The second edition of this groundbreaking book includes new insights and chapters on why CFS/ME is the most poorly treated condition in Western medicine, the role of the gut, allergy and autoimmunity, Lyme disease and other coinfections, reprogramming the immune system, reprogramming the brain, and the roadmap to recovery.